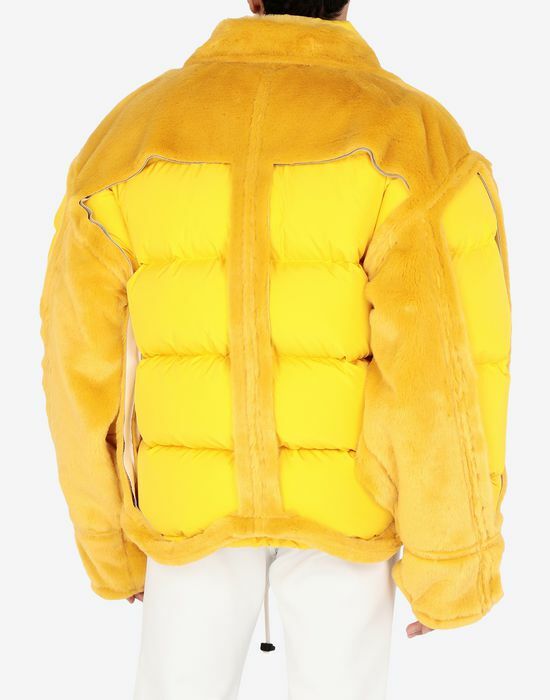 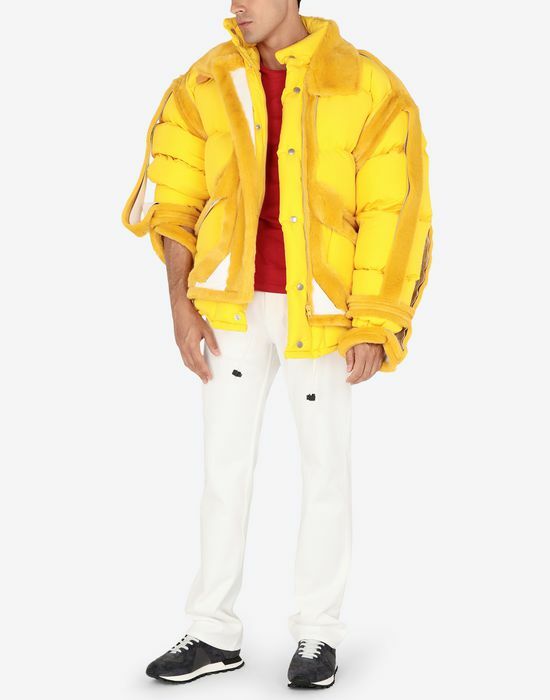 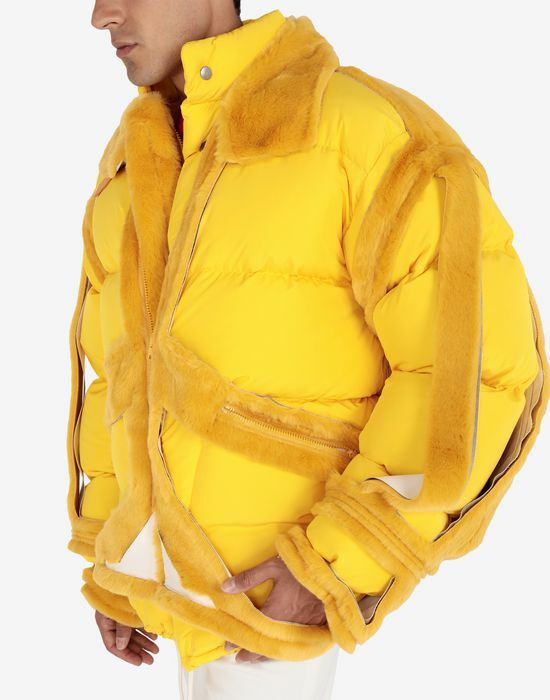 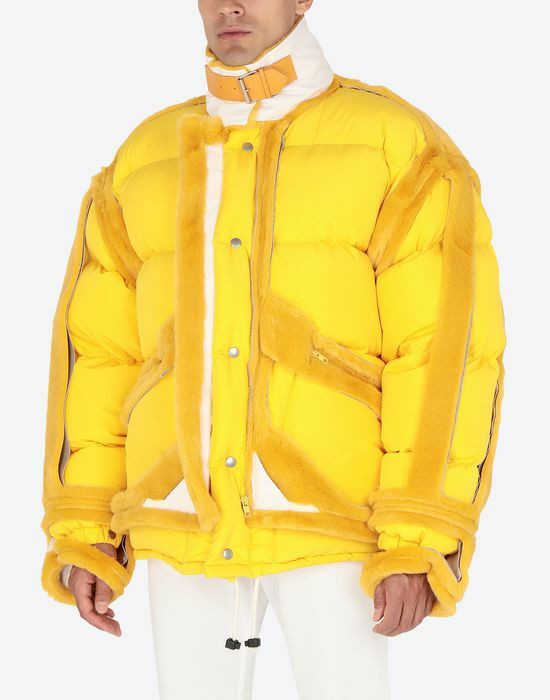 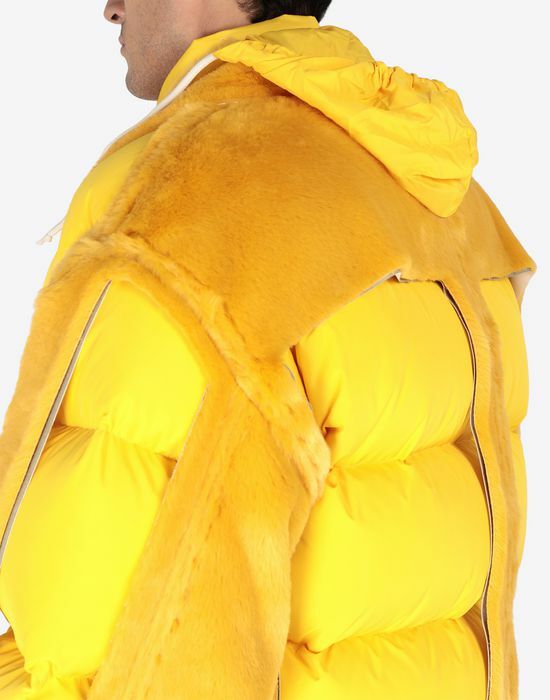 The classic puffer jacket is taken to bolder realms with this rendition in yolk yellow, outsized to greater proportions. 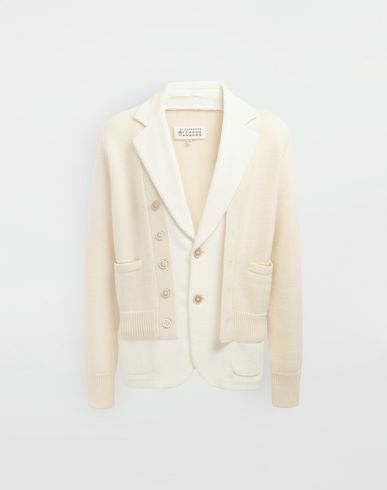 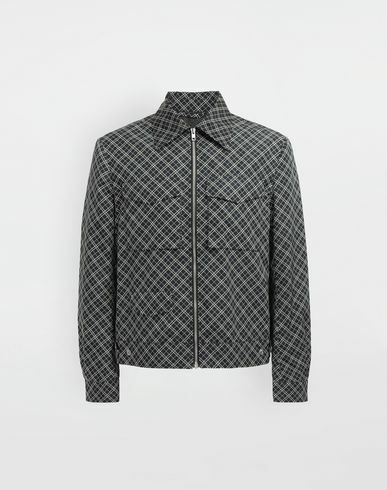 It is featured with popper fastenings, drawstring hem and a cocoon silhouette for a modern sportswear appeal. 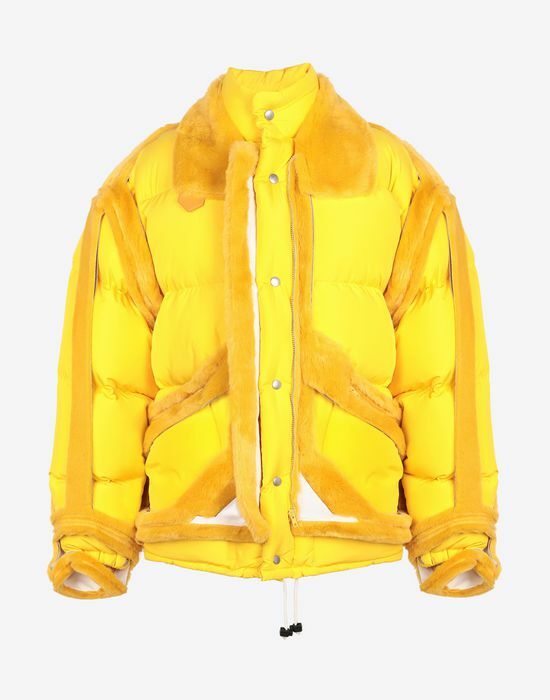 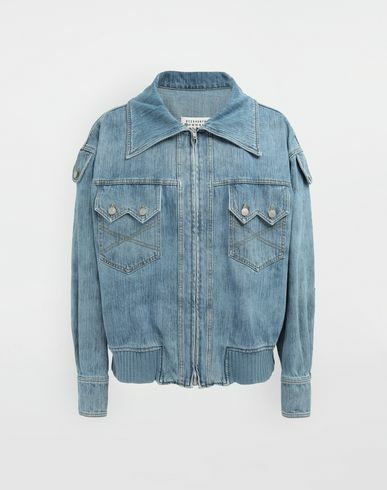 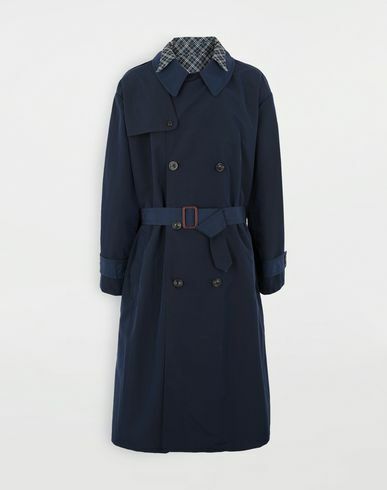 Maison Margiela’s exploration of the Décortiqué code is seen on this piece with an overlaid, skeleton cut-out in shearling, revealing the padding underneath.